Drayton Manor Zoo, part of Drayton Manor Park, near Tamworth in Staffordshire, is reminding groups of the arrival of the Tamarin Trail, which takes adventurers through beautiful planted gardens, allowing them to come face to face with a troop of mischievous monkeys. During the trail adventure, guests get up close and personal with the cute and inquisitive tamarins and marmosets, including the white lipped tamarin, red handed tamarin, emperor tamarin, cotton top tamarin and the common marmoset, which are housed across eight different enclosures. 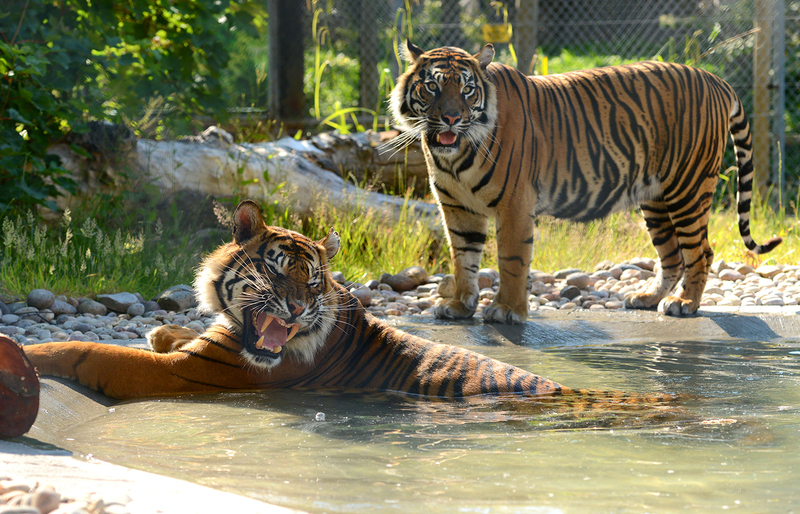 The 15-acre zoo has a wide collection of creatures great and small including a pair of critically endangered Sumatran tigers and red kangaroos. Drayton Manor is an open plan attraction, so visitors don’t have to pay an additional fee for entry into the zoo.